If you plan on being in Europe for longer than a month (or even 21 days which is the minimum time) it might be a good idea to lease a car from one of the many brokers who lease and buy back European cars. As long as you are not an EU citizen, you will not have to pay the VAT (value-added tax) when leasing a new car in Europe. This tax can be up to 20% which really adds up for EU citizens. When the car is brought back, it then will be sold to either an EU citizen (without the VAT) or a rental car company. 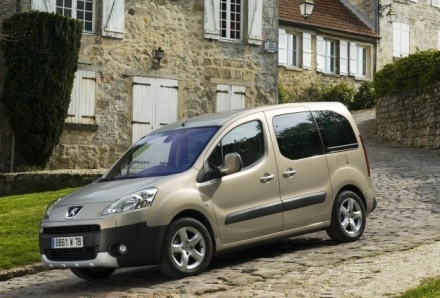 There are many different car companies to choose from such as Peugeot, Renault and Citroen. Many of these lease programs seem to originate in France, but for various fees the lease companies can drop off the car in several different countries. The fees were not completely outrageous either. I believe it was an extra $225 if we wanted to pick up the car in Barcelona and the same if we wanted to drop off the car there, as well. Pick up and drop of points are free in France. The beauty of this program is that you get a brand new car (ah, that new car smell) with zero deductible insurance (this insurance is rolled into the price of the lease) unlimited miles and complete coverage for any car troubles. It will definitely save you money compared to regular car rentals. You can choose your make and model too. We are looking into a diesel, as the cost of gas can be more than twice the cost of gas in the United States. Diesels can save you up to 20% on your gas bill and are more efficient overall. Today, diesels in Europe make up 60% of all car sales. You can lease the car for a maximum of 170 days. Students and educators may lease for up to 355. You must be 18 and hold a valid driver’s license. We are going to get an international drivers license, just in case. These are easy to get at places like AAA. There are several companies that you can set up a lease with and are easily found through an online search. I have read there is a little extra paperwork but this can all be done relatively easily at the airport upon arrival and then you can be on your way. I feel that having a leased car will benefit our family especially since we like to get off the main roads and find ourselves on roads less traveled. Counting down the days before we go! How do you learn all of these things? Who do you talk to to set the lease up someone here local or in Europe. This is fascinating to hear all you are doing. Thank you! There are several companies in Europe that can set this up for us. They seem to have it down pretty well! It is definitely a good option!